Can I get an AMEN!?!? 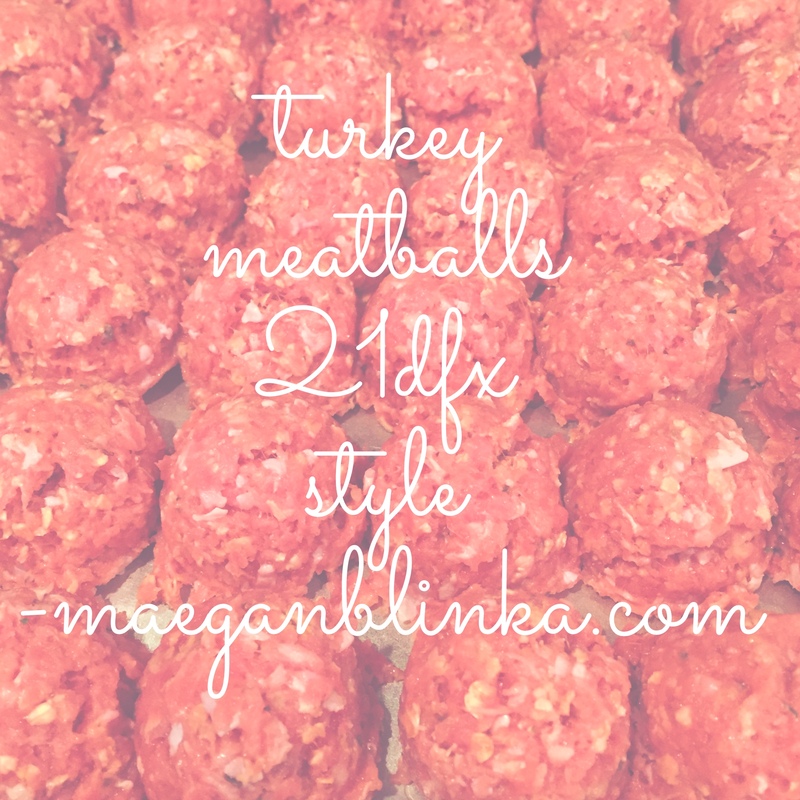 These were AMAZING and I am so excited to share this new recipe with you all! BUT – NOW – there’s a new twist on it and a great use for those leftovers….STUFFED SWEET POTATOES! What’s cooking in the crockpot? Want to know a secret? – I don’t really like to cook. 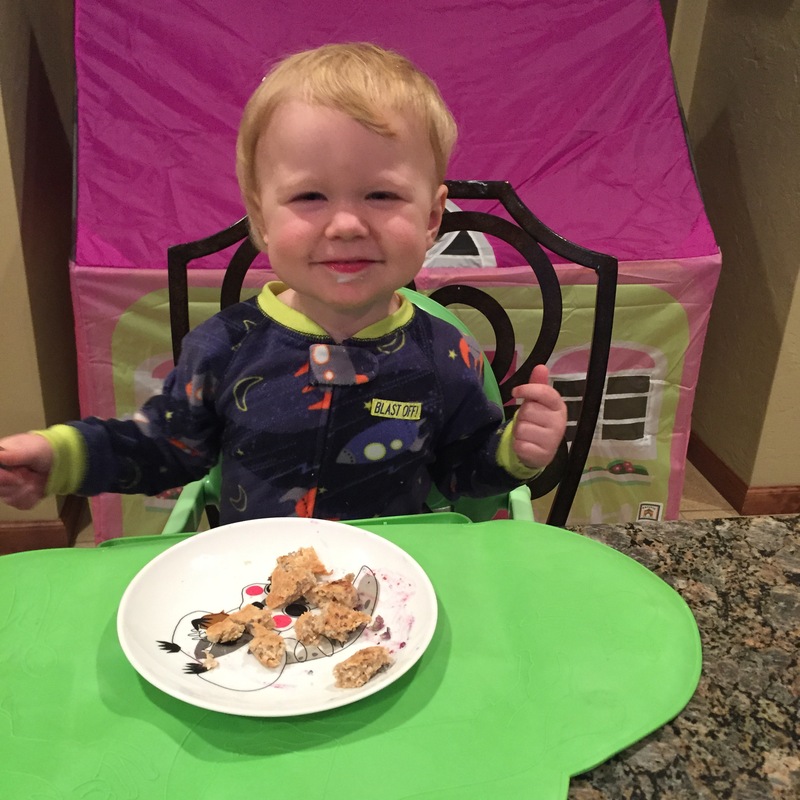 Baking – that’s a different story…but when it comes to cooking – I cook to keep my family alive and food in our belly…so you can imagine how much I love the good old “toss in the crockpot and turn off in 8 hour” meals. Whether you’re short on time after work – before the activities – after school – before the homework – after relaxing – before bed —- to spend time COOKING – I’m here to help!!! September 12th starts my free 5 Day Crockpot group I want you to join me! 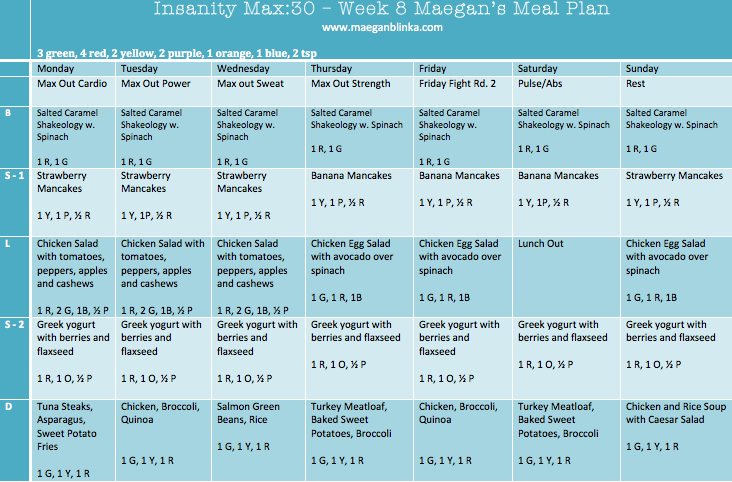 This group is designed to help you with those weekly meal plan ideas, provide some fresh, clean, crockpot meals that will not break the bank but will keep you and the family happy and full! We’ll also share some basic healthy living tips, balance in and out of the kitchen and some ways to make the best of your leftovers!!! For 5 Days (beginning September 12th) I will post the recipes for the day along with clean eating tips to help you make the best of this group! Feel free to invite a friend or two or ten! The more the merrier!!! *Note: Must not be a coach or be working with another coach!!! We love SALSA CHICKEN in this house…as well as CROCKPOT BUFFALO CHICKEN…but let’s be real, sometimes you just have to switch things up and a new crockpot meal always fits the mold! Shred chicken with a fork and serve! 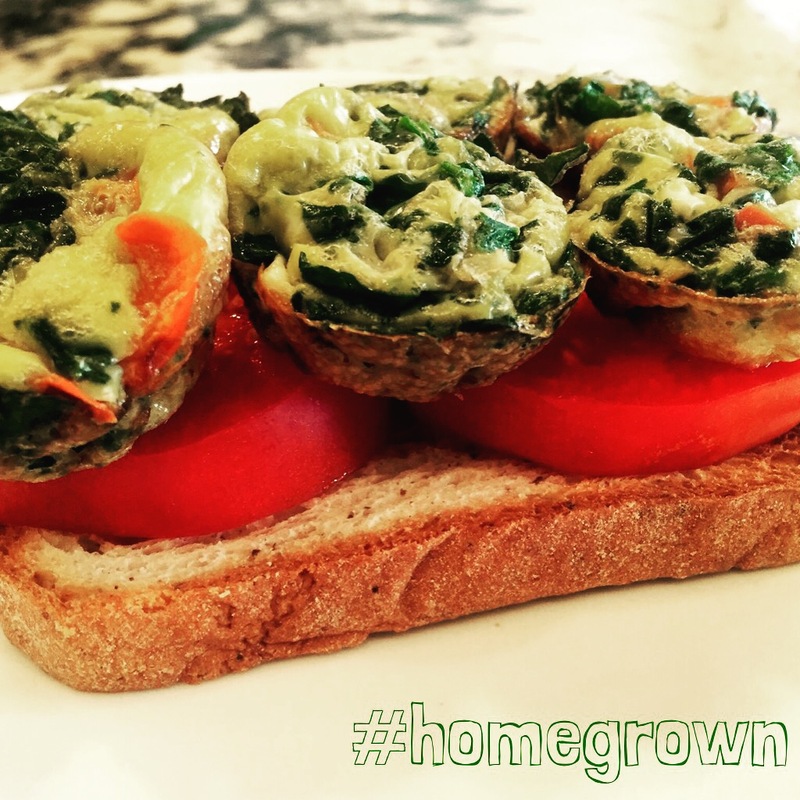 I don’t know about you – but I am all about a fast easy healthy breakfast…and anytime I can sneak in a veggie in that first meal is an added bonus!!! I prepped these over the weekend for a quick post-workout grab. 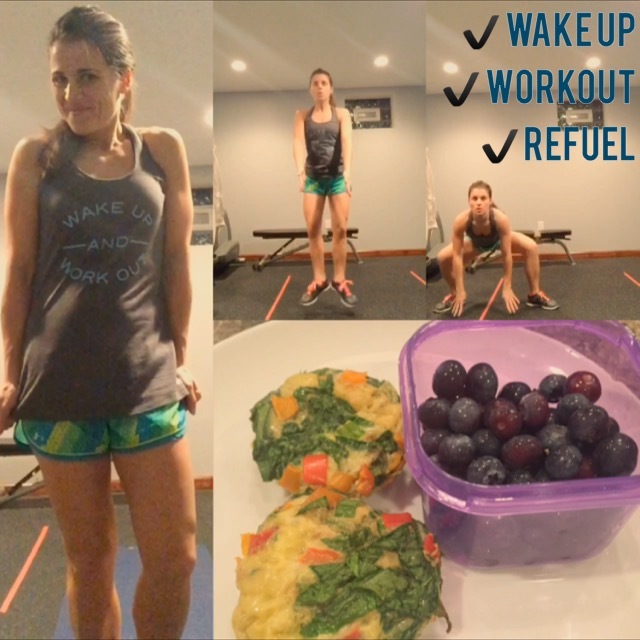 We have an activity most mornings during the week so if I don’t grab a shower post workout its tough to get in – but at the same time – I need to fuel up after I workout so this is the best of both worlds! I used to always have my Shakeology post workout but I’ve started saving my shakeo for when my kiddos wake up and I make a little extra for them…this cold and flu season is NASTY this year and I want to give them as many vitamins, minerals, antioxidants and probiotics and probiotics as possible…and this is the easiest and healthiest way!!!! 3. Place eggs in a large bowl; whisk to blend. Season with salt and pepper if desired. 4. Add spinach, peppers and onions, mix well. 6. Bake for 15-20 minutes or until a toothpick inserted into the center of cups comes out clean. 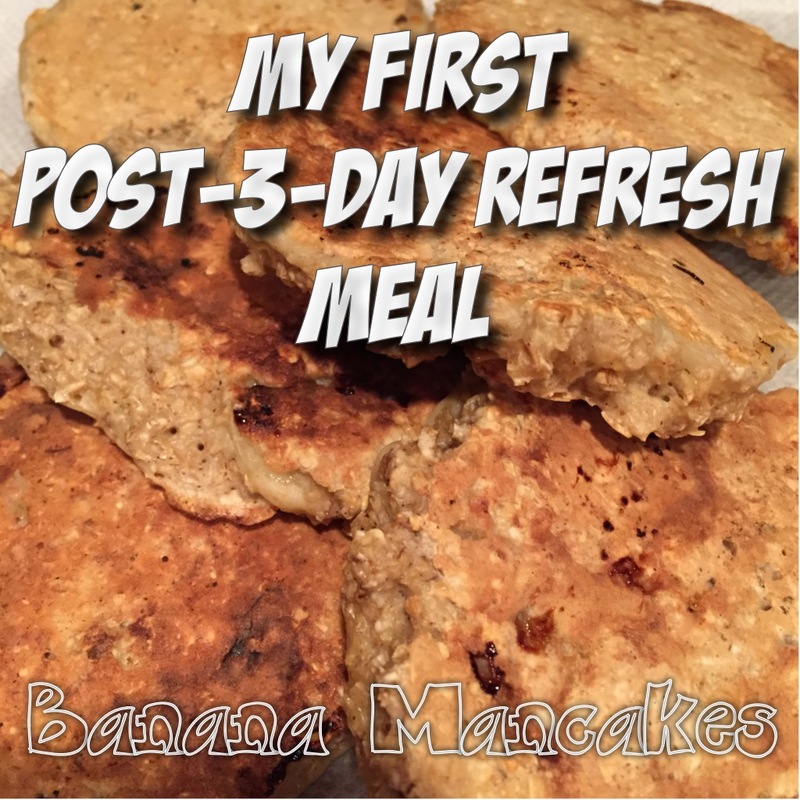 I planned on eating these throughout the week (see my WEEK 2…21-DAY FIX EXTREME Meal Plan) but you can also freeze them in individual baggies for a quick grab and go later on!!! Whether you’re looking to lose 15 pounds, 20 pounds or more OR whether you’re looking to just tone up and get ready for bikini season – you can reach your goals without ever leaving your home! Through my online accountability group, you learn tips on clean eating, receive daily 1:1 coaching, motivation, accountability and SUPPORT!!!! If you’re interested in joining my private group run through Facebook fill out the application below I’ll send you all the details! This is exactly how I got started and I am forever grateful I took that leap!!! 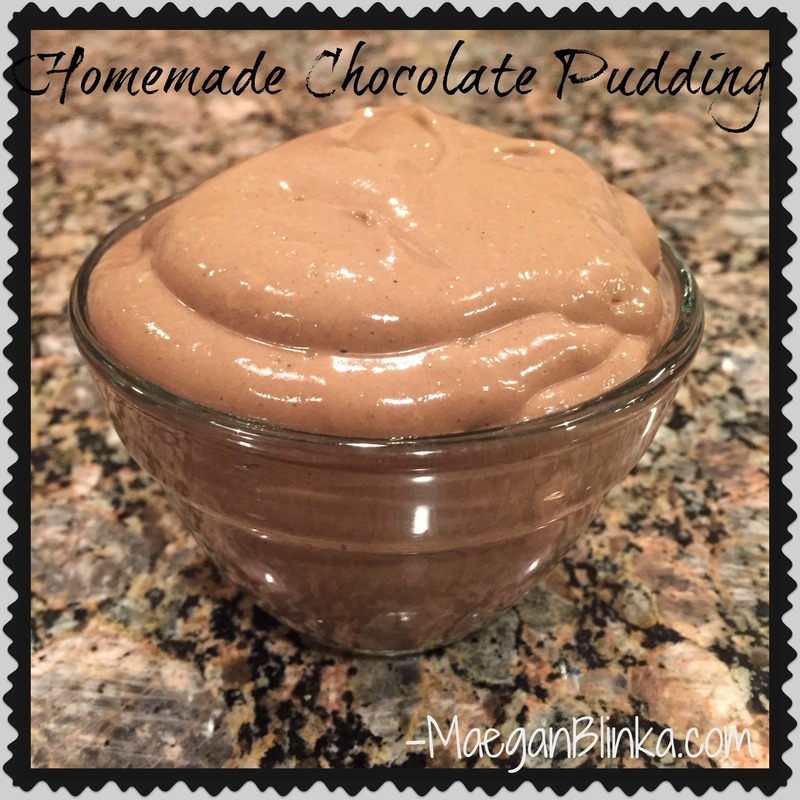 Clean Chocolate Pudding – 21-DF Approved! 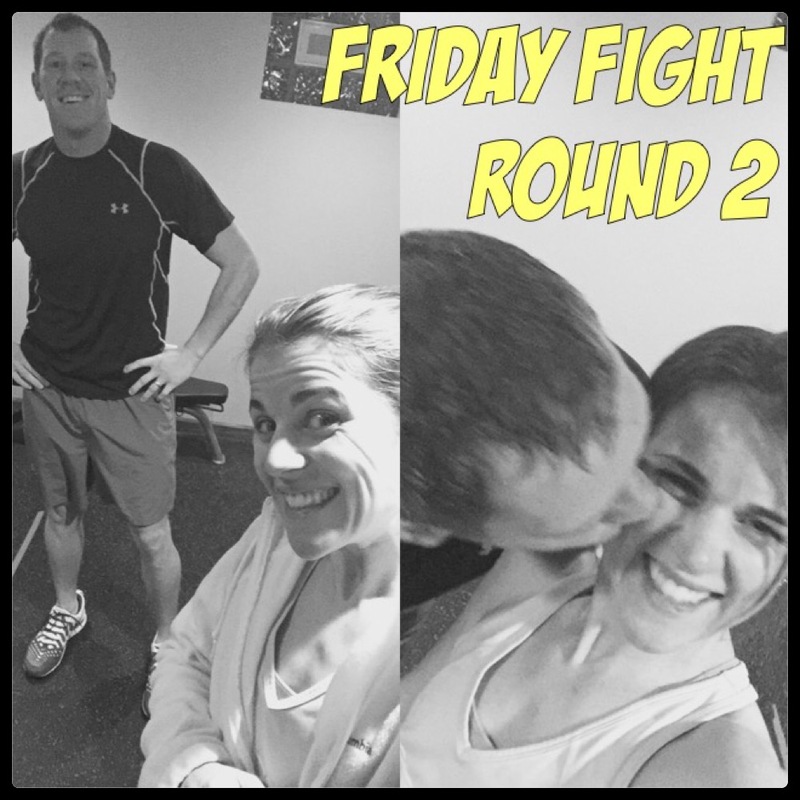 Ok – so I often I talk about my challenge groups and how they’re such a great resource for support and motivation especially as someone begins their fitness journey and also as they continue! 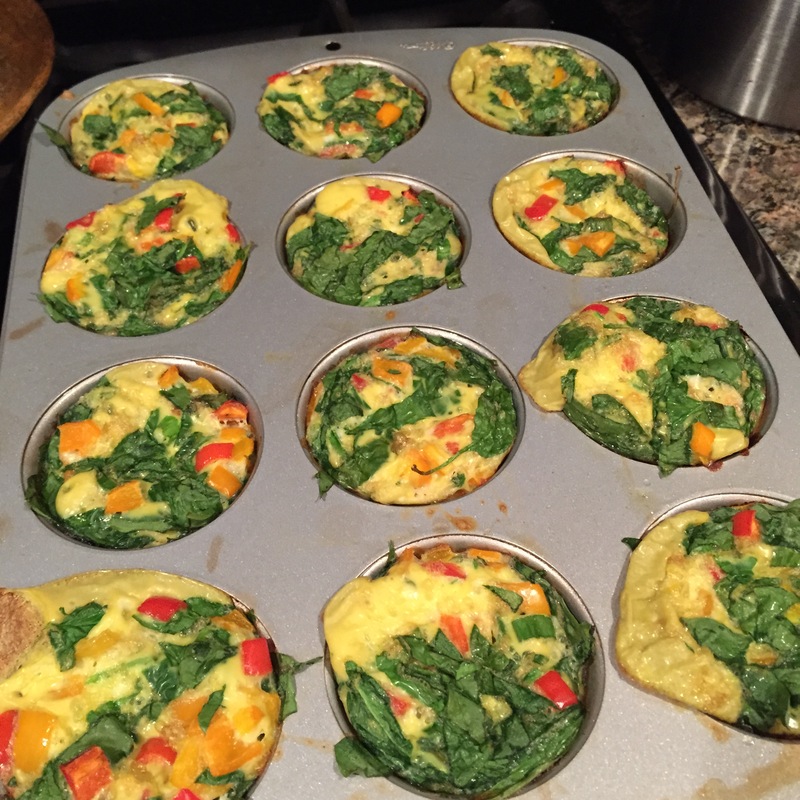 But they are also a great place for recipes….not only from me, as a coach, but everyone in the group! I have to thank Anna for sharing this sweet treat with us all!!! This recipe is found in the 21-Day Fix and 21-Day Fix extreme nutrition guides but honestly I would have never made it on my own. I always made a different version of Chocolate Shakeology Pudding and saw no reason to try a new one. Well…let me just say, this is so smooth and tastes like a homemade chocolate mousse. Let me just say, this will surely satisfy your sweet tooth craving!!!! Not sure what flavor you’d like – but still want to give Shakeology a try? Try this flavor sampler pack to figure what which is your favorite! 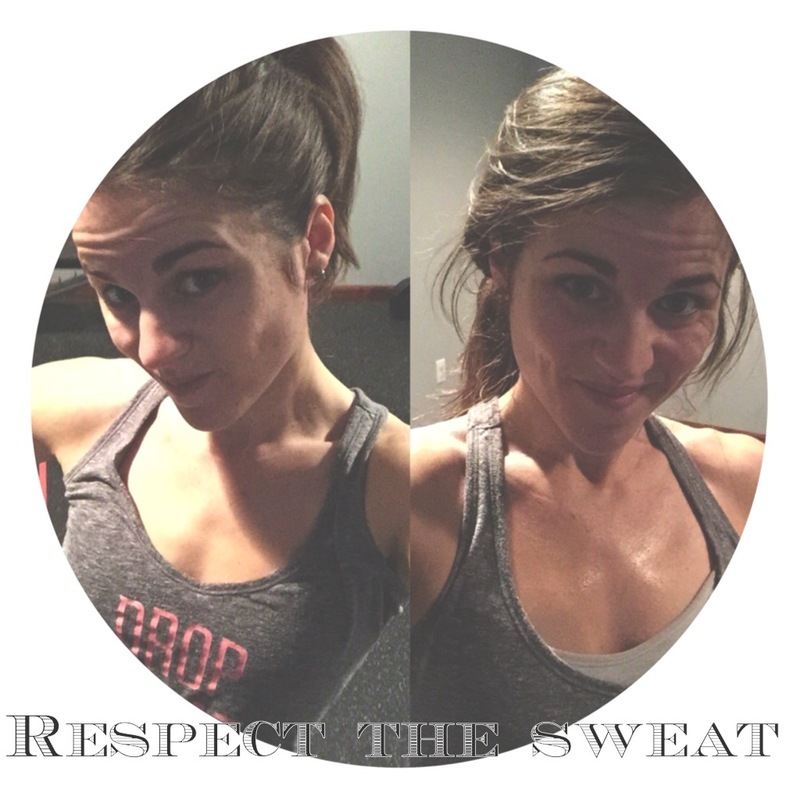 As mentioned above, I run health and fitness challenge groups to help other people begin and/or continue their health and fitness journey and turn it into a LIFESTYLE! If you’re interested in more information about ways to enjoy clean eating and/or would like to be part of my upcoming challenge group, fill out the form below! Together we can end the trend of obesity! Mix all ingredients together, let sit in the fridge at least 8 hours, give a big stir and ENJOY! 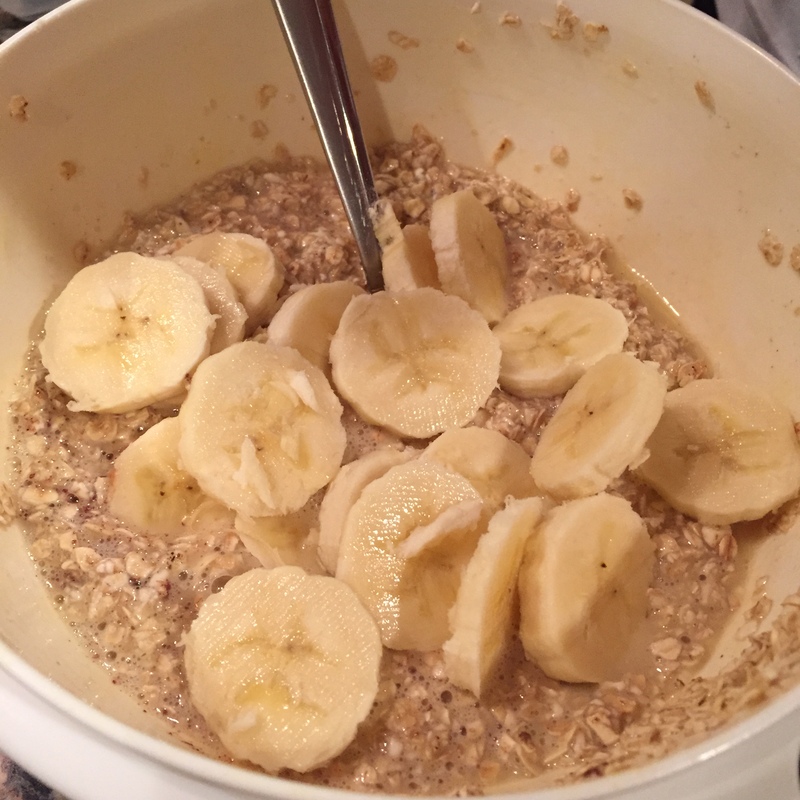 I know it doesn’t look as appetizing as the “before” picture above but don’t let that fool you – its delish! 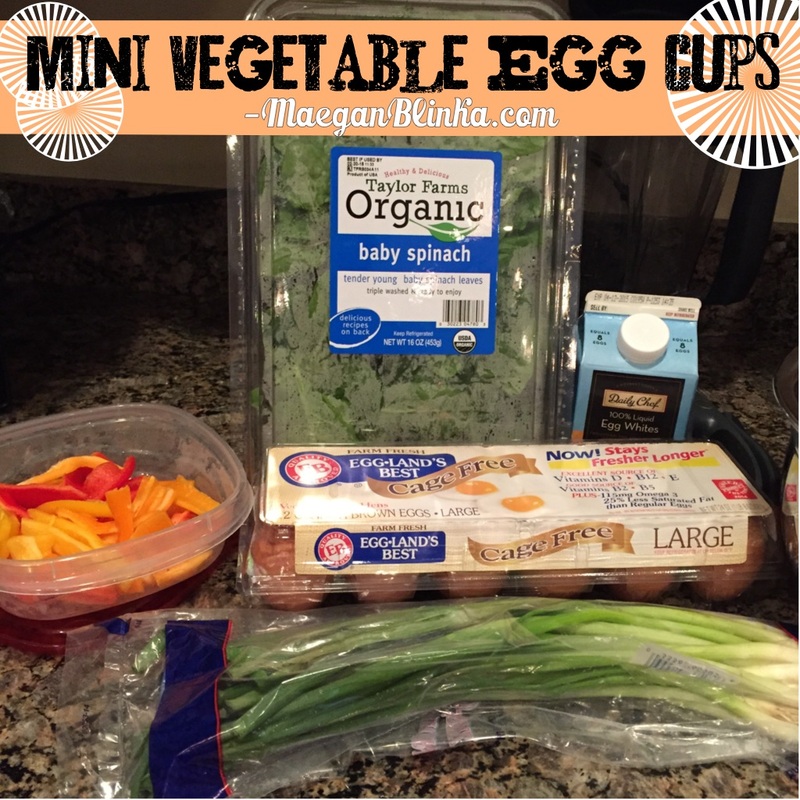 You can prep 3-4 of these at once and have them ready to grab and go later in the week! I also found frozen berries work great because as they thaw in the fridge you get that extra juicy liquid/flavor added to the mix! As you may know, you can sub out 1 yellow per week for 16oz of almond milk. Given that 1/4 cup is only 2 oz almond milk you could technically have 8 of these to equal 1 yellow. I would try to adjust accordingly but unless I am following the diet very strictly I don’t count the 1/4 cup! 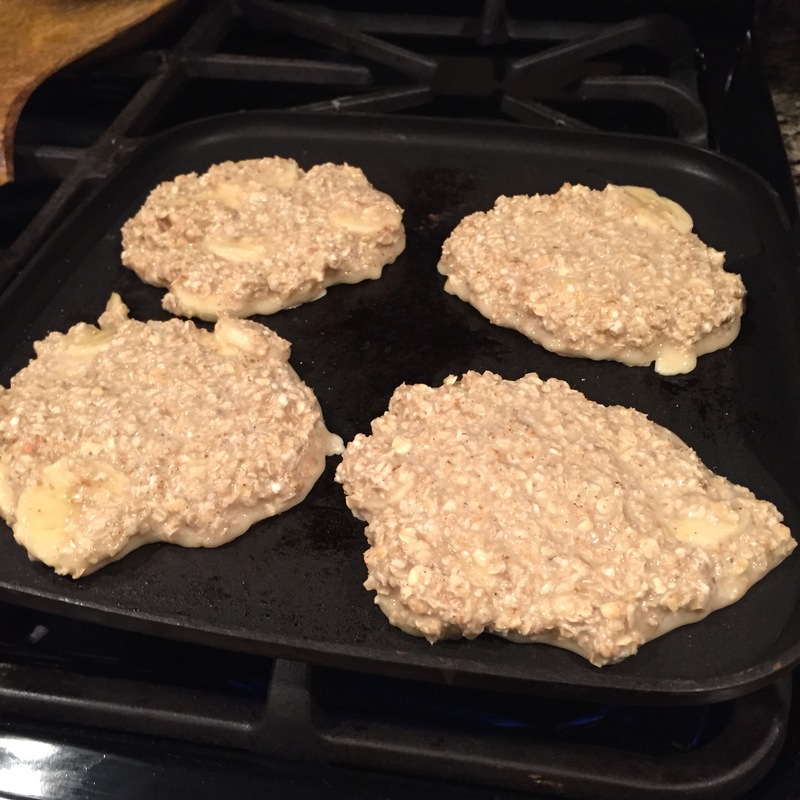 As for the chia seeds – these are not part of the nutrition guide for the 21-day fix. 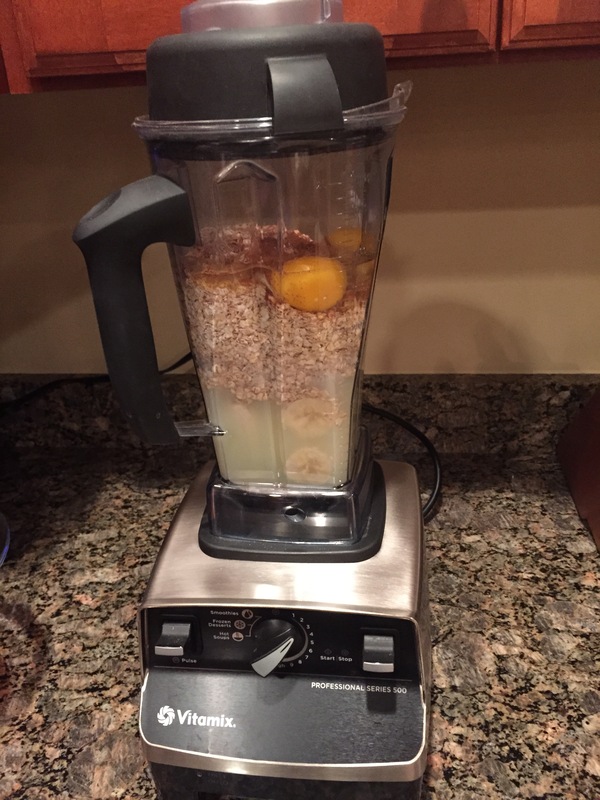 When I am following the 21-day fix guide, I sub ground flax seeds. Any questions – post below! Whether you’re new to clean eating or a seasoned pro – if you’re interested in more information fill out the form below to join one of my upcoming health and fitness accountability and support groups! There’s power in numbers – but you only have control of ONE! 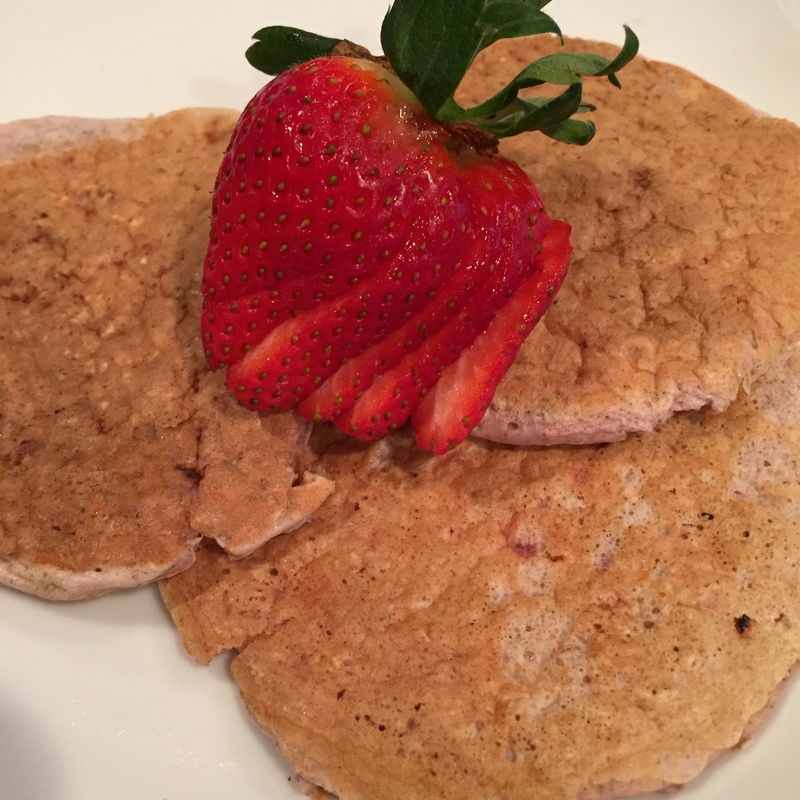 These little perfectly balanced protein pancakes – aka – MANCAKES have taken off in my house! It started when I was helping my hubby with his meal plan and was in the middle of a 3-day refresh. 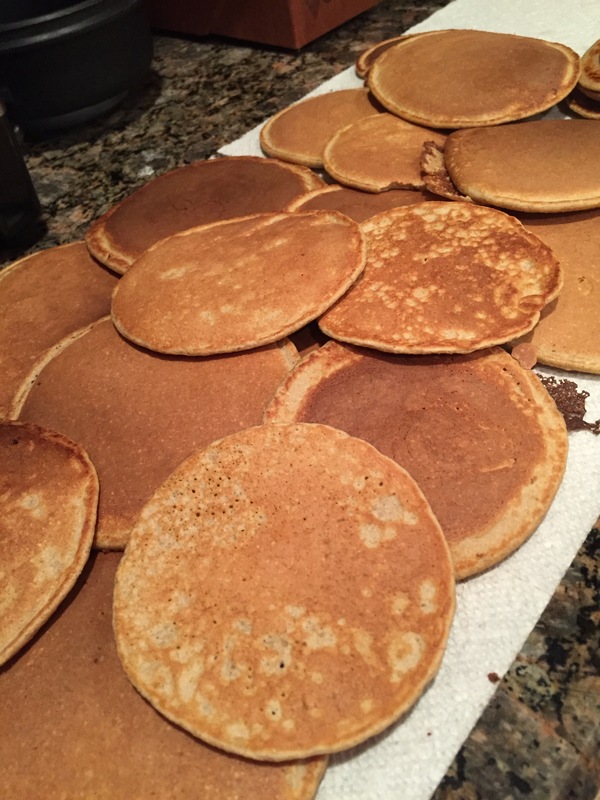 I watched him make them for 3 nights and decided this would be my first non-vegan food item when I was finished! And I have been hooked on them ever since! Here’s the thing – they’re so versatile! 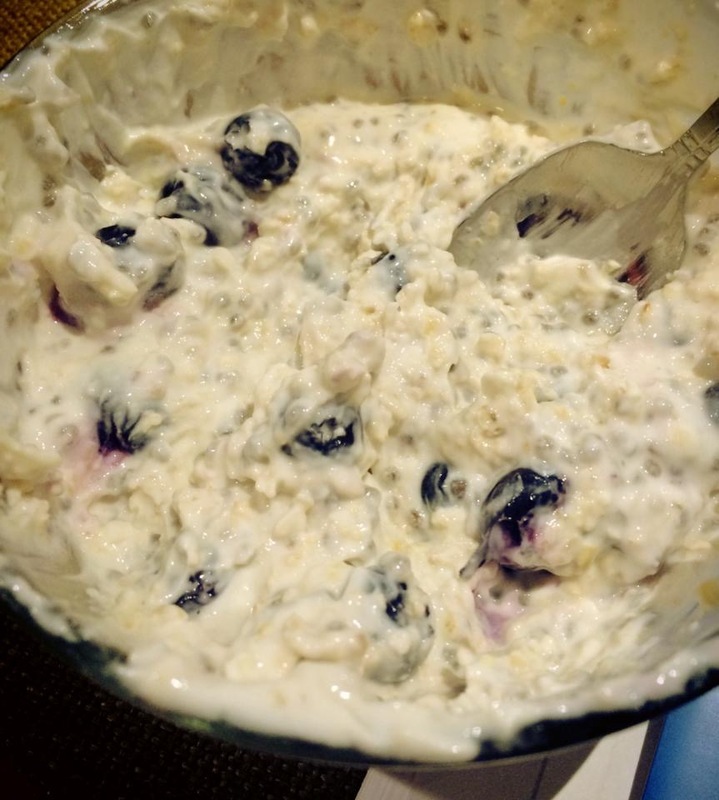 You can add more or less oats…you can do just eggs, just egg whites or a combo of egg and egg whites…all depending on your own preferences and goals! Plus my little guy likes them so its a bonus score! 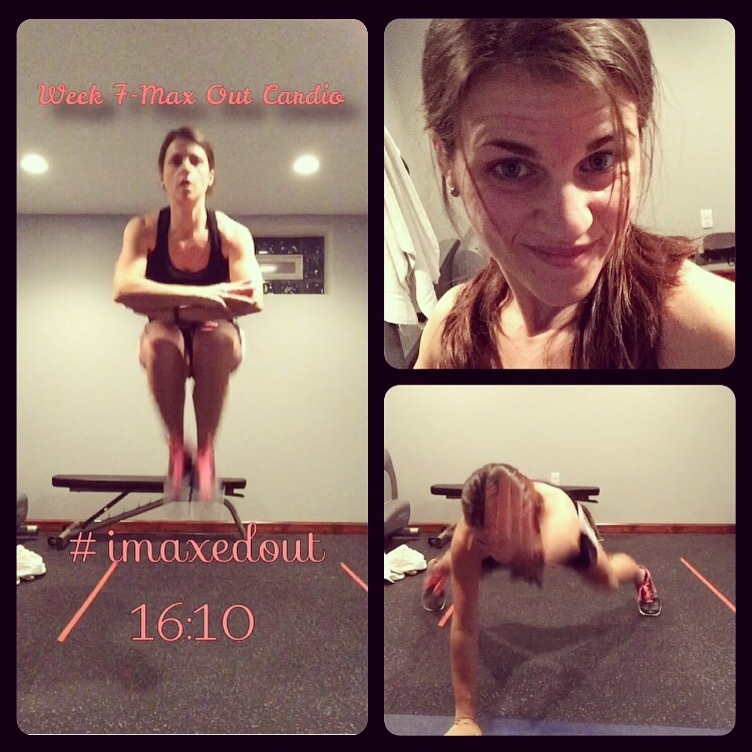 I’ll share with you the 21-day fix/Insanity Max: 30 approved recipe I use along with my husband’s. Combine the Egg/Egg whites, oats, vanilla and cinnamon. You can do this in a bowl if you want to leave the oats ‘whole’ or in a blender if you like a smoother, more pancake-like consistency. Stir or pulse a few times to combine. Add fruit and pulse until you get the desired consistency you like! Using a 1/4 cup, pour into pan, cooking each side about 2 minutes or until you see the edges forming. Flip once. Let cool and store in air tight container or eat immediately! The one thing I LOVE about these is that you can eat them hot or cold, in the car, or running around – which fits my lifestyle perfectly!!! 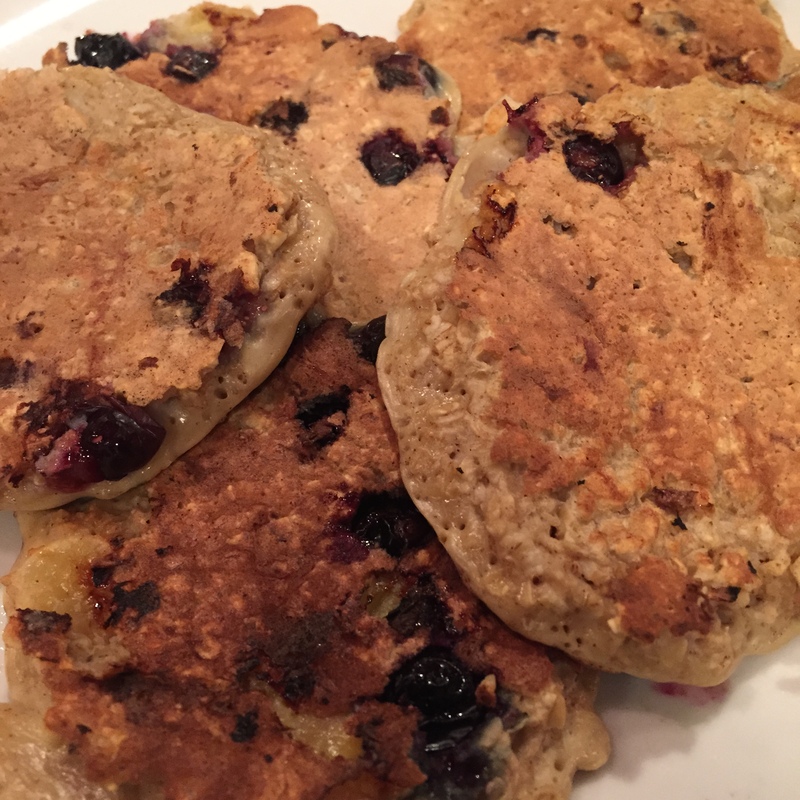 My husband prefers a banana in his and blended smooth where I prefer the berries and more like a oat consistency. Honestly though – you can’t go wrong! They’re so tasty and the fact that they’re also gluten free is just an added bonus! 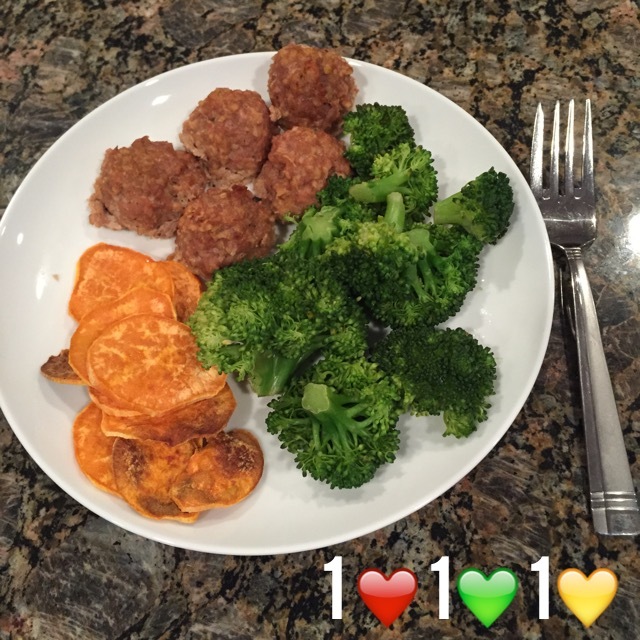 If you’re ever looking for more clean eating meal ideas, tips, recipes or just motivation – join my next health and fitness accountability group! 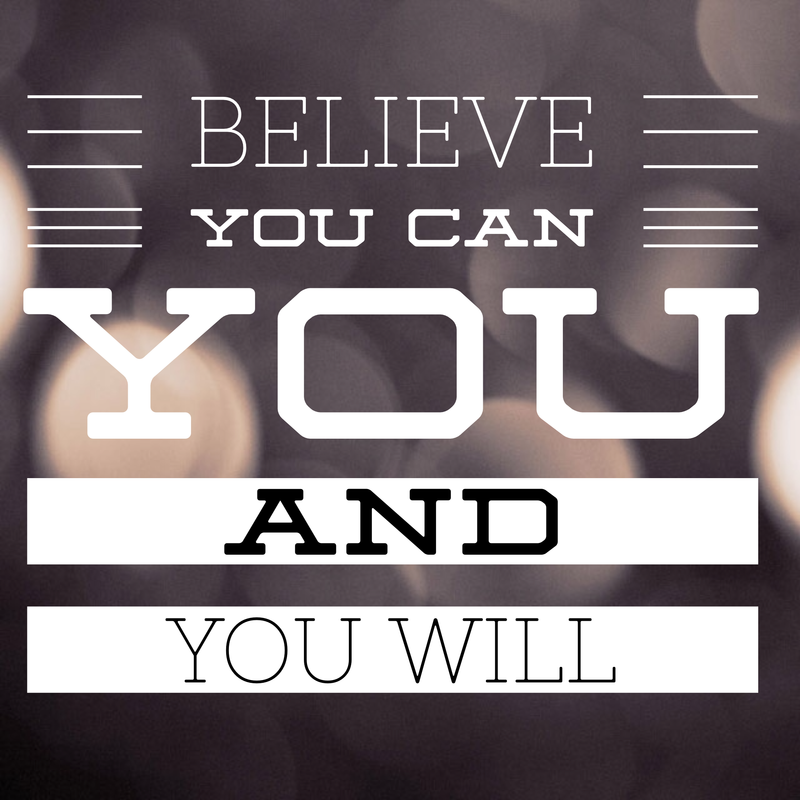 I’m a big believer – there’s power in numbers!! !